​and spaces are filling quickly!!! Sign up TODAY! Go to the Camps & Classes page to see what exciting camps we're offering this year and to sign up... or simply click the button below! Great job girls! You all did amazing! We are so proud! We had a beautiful turn out September 28, from our grape juice making & canning class! The girls learned how to can homemade grape juice from a small vineyard, and how to use a juicing machine to juice pears and grapes for a refreshing healthy juice, ready to drink! Our pear & raspberry preserves class (pictured below) had a wonderful turn out September 22! These Rubies Girls learned how to make and can pear & raspberry preserves, baked pear crisp, and canned cinnamon pears! Such a wonderful group of girls! This years summer camps were a blast, with 28 NEW Rubies to show for it! 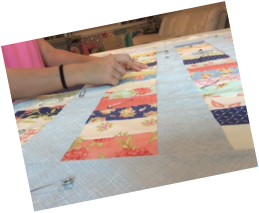 Each Rubies Girl worked extremely hard each week to master skills in sewing, cooking, gardening, creativity, organization, responsibility, and much much more!!! 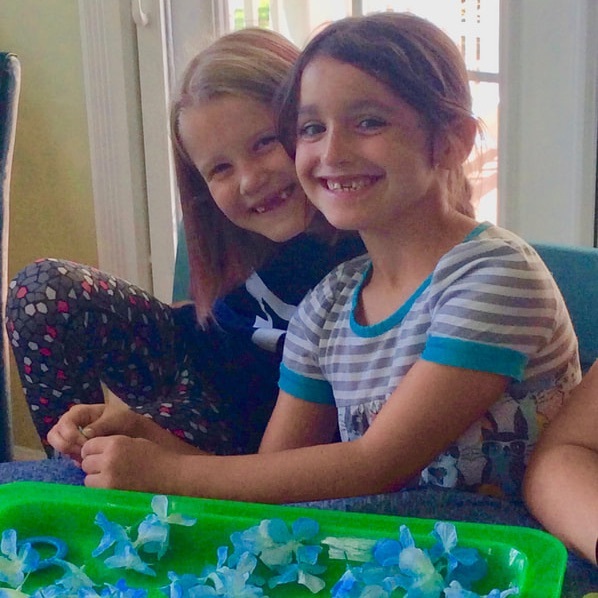 With over 8 weeks of camps to choose from this summer we had a wide variety of crafts to make, recipes to cook, and fun memories to remember. If you would like more information about the Rubies Girls Clubs summer camps please check out our Camps & Classes page for more information! You can see more of what we did this summer by checking out our photos page! 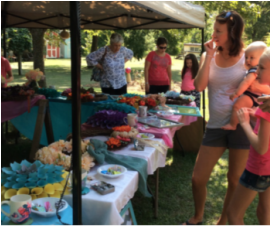 This year's Princess Night was a blast with lots of wonderful prizes, food, and fellowship! Pictured left (bottom row) are Elise Sounia and Gabrielle Hooper who both received their sashes this year! Stay tuned for more information about 2019's Princess Night and our first ever Crowning Ceremony taking place!!! You won't want to miss it! Check out our CAMPS & CLASSES Page for more information and to register today! 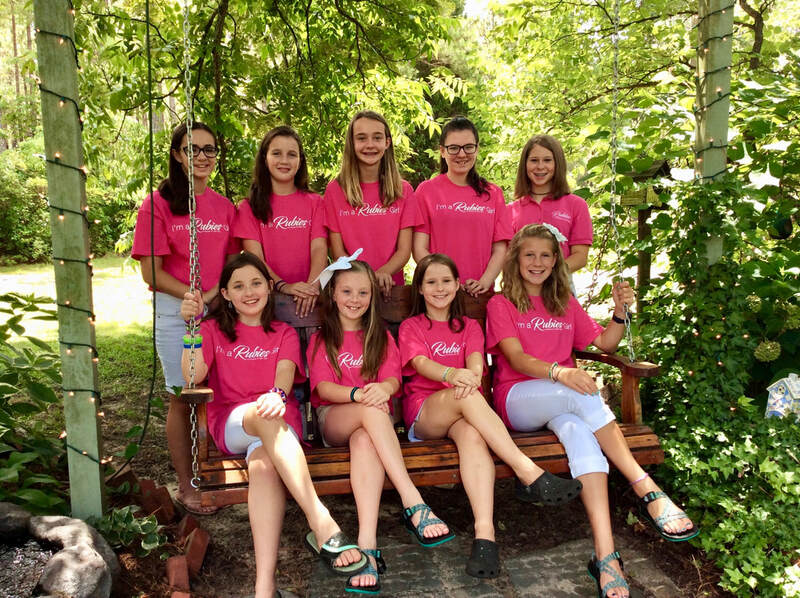 The 2017 National Make It Yourself With Wool Competition participants from the Rubies girls club are as follows(from left to right): Lily Davis, Kayley Dwyer, Averi Martin, Reece Hicks, Olivia Clark, Ms. Yvonne Haskins, Hannah White, Kinley Buss, Rebekah Richardson, and Maddie Monroe. In the junior division the winners were Lily Davis (1st), Maddie Monroe (2nd) and Kayley Dwyer (3rd). In the preteen division (not shown) the winners were Olivia Clark (1st place), Averi Martin (2nd place) and Kinley Buss (3rd). Honorable mentions were given to Reece Hicks, Hannah White, and Rebekah Richardson. All of these girls worked so hard on their outfits and did an excellent job! We are all so proud of their outfits and the support and encouragement they had for each other as they participated! What an awesome and fun time we had the Fall/Winter of 2017 with the Rubies Classes! Lots of Christmas baking, decorations, gifts and more!!! Also be sure to check out our Facebook page for class information! ...See Our Photos Page For More Pictures! ​Check out our Photos page for more pictures!